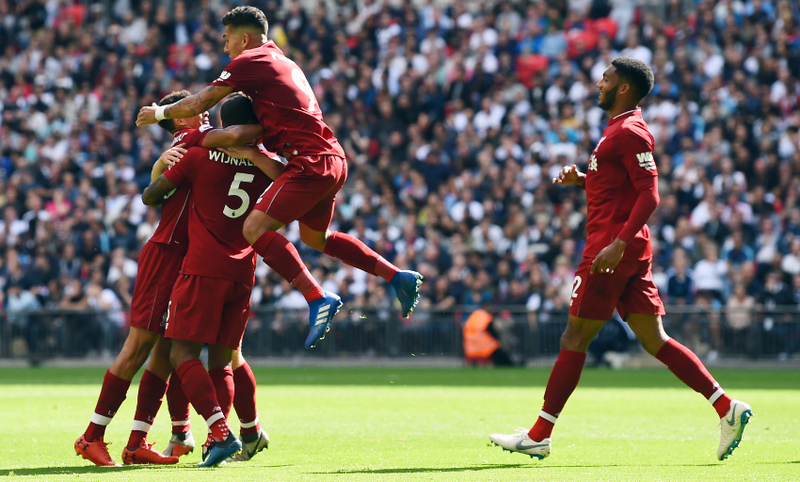 Jürgen Klopp declared himself proud after Liverpool delivered what he felt was their best performance of the season so far in recording a 2-1 win over Tottenham Hotspur at Wembley on Saturday. 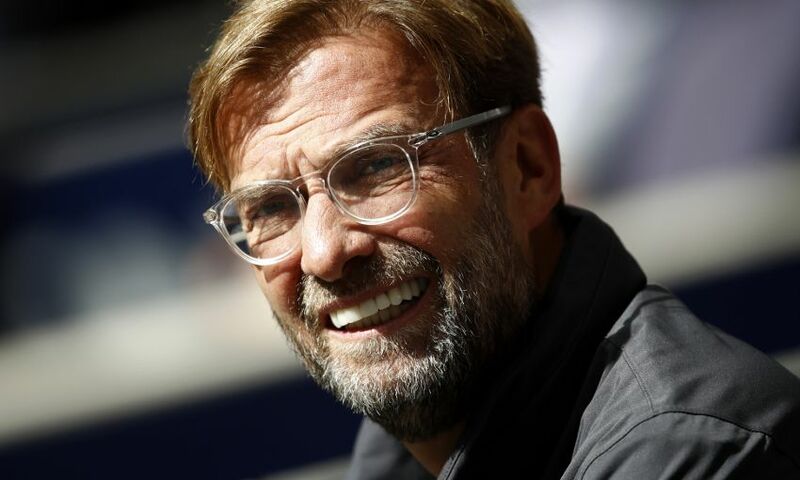 The Reds claimed their fifth consecutive Premier League victory, maintaining their 100 per cent start to 2018-19, as they clinched all three points at the national stadium. Georginio Wijnaldum’s header on 39 minutes put the visitors ahead before Roberto Firmino doubled the advantage shortly after half-time. Liverpool had several other opportunities to further their lead, but Erik Lamela netted in stoppage-time to give Tottenham late hope of a comeback; however, the Reds held out to pick up the victory. You all remind me of our performance last year, I wouldn’t think about it for a second if you wouldn’t ask constantly. It was not part of the preparation; different game, different team, different situation, everything is different, so why should I use it? The only thing we used more was the home game we played against Tottenham, to be honest. Not because the result was better, only because it was not that long ago. The performance today, for me, was better than the result. The result is the most important thing and the result is perfect. Winning here is so difficult, unbelievably difficult, so I never expect that. Because we came here and tried to do it, you need a really outstanding performance – and that was what the boys delivered today. We could have scored more, we controlled the game. Let me say, it was the best game of the season for us for sure. We had in all the games really good moments. Today, we had 85 brilliant minutes and then unfortunately we didn’t finish the game off. That means Tottenham have the quality to strike back, that’s what they did after a corner. But then nothing happened anymore. So I’m really happy about the performance and proud of the performance because the boys came back Wednesday and Thursday, we trained yesterday and then playing our football in that way, that’s really nice for a manager. I’m a very positive person. I see the game, I talk here, I analyse it and then I don’t think too much about it anymore, to be honest. And I’m not sure if we can do it on Tuesday and next Saturday again, so we have to show that. It was a very good performance, maybe our best against Tottenham in all the years since I’ve been here. But, I imagine only five per cent less and we probably would have lost. That’s really hard on Tottenham, they are probably not happy with the result and the performance. But because we were that good, it was so difficult for Tottenham today. I don’t think Tottenham played bad. That’s why we deserved to win. But it’s over, three points, now we have to go again in three days, we have to recover pretty quickly. We play Paris Saint-Germain; they won yesterday without Neymar and Mbappe, so they can obviously rest players in the league. But it’s on Tuesday, not today, so I’m happy with what I saw today. Yes, but that’s with all results and all wins you have. We only have a pre-season to be in the best shape possible for all the challenges ahead, so now we’ve won a few games and that’s good – very good. It doesn’t change anything for us. This game was really good from my side and my squad is really good. I am happy with my squad. We even had problems in this game today and we will have problems during the season, so how we deal with them we will see. I have no idea. We have won at Tottenham and that’s the only thing I was interested in today and that’s enough. I am not the personality to wait for problems, but I am old enough to know they will come. I was not really often surprised in my life when I’ve had some. We all have the same situation in the football team. I am long enough now in this business to know no-one plays a perfect season – not even City last year played a perfect season. It’s no problem, it’s still early, five games. It’s fantastic we won all of them, it’s fantastic we improved and this today was by far our best performance of the season, so I like that development. Now we have to prove it and do it again, again and again. We will see if we can do so. All over, to be honest. I really thought defending against the ball, we were brilliant. We caused Tottenham a lot of problems in these situations. They are so good and so tuned and they do it so confidently to pass through the lines that you need to be outstandingly brave and ready to close these gaps. They are really big sometimes, so it’s really difficult but we did it. With the ball, how we controlled the game, I was happy as well. We were confident, we played good football, we created moments, we prepared direction, we played passes in behind, played counter-pressing, so it was just good. I really think with five per cent less we would have lost. Our timing today was really good; our best performance there, so we got the three points.